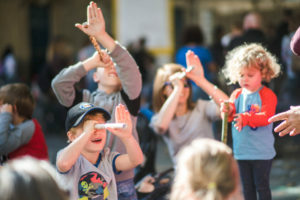 Award-winning arts and design pop-up Forest of Imagination is returning to Bath on from 20-24 June 2019, teaming up with the Holburne Museum to stage a festival of fantastical installations, creative workshops and sculptures designed to spark everyone’s imagination. Taking place for its sixth consecutive year, the free, four-day participatory event will invite visitors of all ages and from all backgrounds to experience a ‘Life Line’ of multi-sensory art installations that stretches from Laura Place, along Great Pulteney Street, to the Holburne Museum and into Sydney Pleasure Gardens. The ‘Life Line’ aims to celebrate nature as a lifelong source of creative inspiration for all, as well as encouraging people to experience these iconic places in an entirely new way, with reference to themes surrounding wellbeing, the environment and our future. Laura Place and Great Pulteney Street will temporarily become a tree-lined promenade leading to a fantastical ‘portal’, by Piers Taylor and Charley Brentnall, at the Holburne’s entrance, inviting visitors to explore its collections, exhibitions and parkland setting. 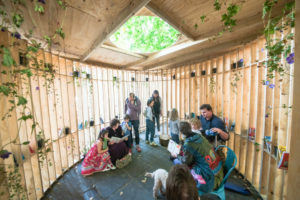 Sydney Gardens will be re-imagined as a 21st century pleasure garden with a sustainable, temporary pavilion, along with innovative artworks and participatory workshops that extend up to the Kennet and Avon Canal. 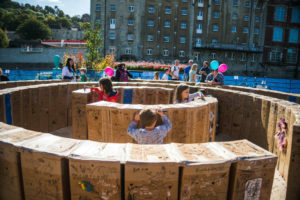 These playful installations include works by local and international artists and involve the participation of more than 20 local schools and the support of 42 partner organisations and businesses. The ‘Holburne Summer Pavilion’, designed by architect Feilden Clegg Bradley Studios with Buro Happold, providing a House of Imagination for creative events and workshops during Forest of Imagination, and over the summer. – Thursday 20 June, 6-8pm – African dance company Ballet Nimba joins performance poet Toby Thompson to formally launch this year’s Forest of Imagination. – Friday 21 June, 7-8pm – London-based Afro-dub ensemble and WOMAD-festival regulars Fofoulah perform an energetic gig of Sengalese voice and West African rhythms in the Holburne’s garden pavilion, with dub basslines and intense grooves. – Saturday 22 June, 7-8pm – Children’s author and illustrator Lauren Child MBE, creator of the hugely popular Charlie & Lola books, joins the Holburne’s director Chris Stephens to discuss art and creativity amongst children and adults. – Sunday 23 June, 7-8pm – Contemporary ‘slogan’ artist Bob and Roberta Smith shares a reading from his new book UR an artist and discusses the role of art in society through an open discussion with the audience, including young people, chaired by Professor Anita Taylor, Executive Dean of Bath School of Art and Design. – Monday 24 June, 5-6pm – Turner-prize winning sculptor and land artist Sir Richard Long brings Forest 2019 to a close with an illustrated talk for all ages with Q&A. 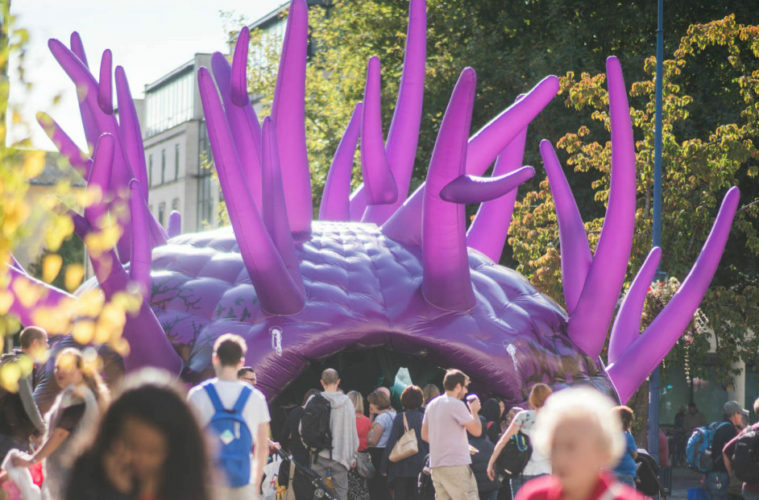 Now a popular staple of Bath’s arts event calendar, Forest of Imagination 2018 won best Temporary Landscape at the 2018 Landscape Institute Awards. The lead creative partners behind the initiative are Grant Associates, 5x5x5=creativity, Feilden Clegg Bradley Studios and Bath Spa University.